Meaningful victim participation – but only if you can pay for it? 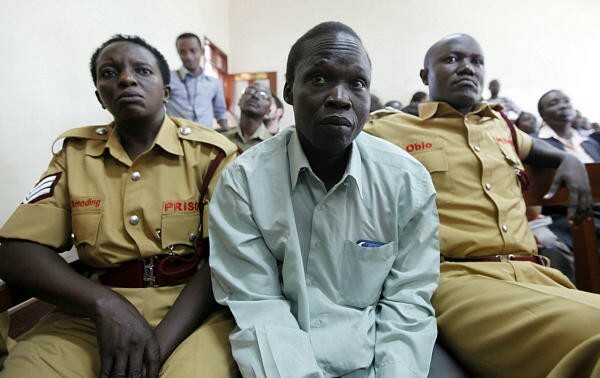 On May 26th, the Single Judge of the Trial Chamber IX denied legal aid to 2/3 of victims participating in the Ongwen case – the ICC’s only case so far in relation to the Lord’s Resistance Army rebellion that for years terrorized communities in northern Uganda. The Single Judge’s decision does not come as a complete surprise: it affirms the interpretation of rules on financial assistance for victims proposed by the Pre-Trial Chamber in November 2015, which I wrote about previously. In a broader perspective, it is not only a decision on legal aid, it is a step towards focusing victims’ representation with the ICC’s Office of Public Counsel for Victims (OPCV) and limiting victims’ procedural rights, specifically victims’ right to choose their legal representative. The confirmation of charges hearing in the case of Dominic Ongwen has begun. Many victims of the conflict in northern Uganda have been waiting for this moment for the past ten years. More than 2000 victims had been admitted to voice their views and concerns in the case brought by the Prosecutor against one of the top LRA commanders. How will they do that? Through their legal representatives standing in a court room in The Hague, 10,000 km north of where most of the participating victims reside. Inclusion of victims in the ICC proceedings has been and continues to be one of the most hailed features of the Rome Statute system. There are many doubts, however, as to how it is being implemented. In light of the ongoing (never ending?) debate on “meaningful participation” of victims in ICC proceedings, it is worth looking at the recent developments in the Ongwen case regarding victims’ representation. The effectiveness of victims’ participation in the ICC proceedings depends largely on the performance of their counsel. How Do Witnesses Feel Testifying Against Accused War Criminals? Stephen Smith Cody directs the Atrocity Response Program at the University of California, Berkeley’s Human Rights Center, where he designs and manages research related to human rights violations in the Central African Republic, Democratic Republic of the Congo, Kenya, Sudan, and Uganda. Stephen holds a PhD in sociology and JD, both from Berkeley. You can follow him here. Robin Mejia is a journalist and researcher whose work has appeared in the Los Angeles Times, The Washington Post Magazine, Wired, Nature, Mother Jones and many other outlets. Currently, she is pursing a PhD in biostatistics at UC Berkeley and working as a researcher for the Human Rights Center at UC Berkeley School of Law. This is cross-posted from The Huffington Post. Witnesses who testify at the International Criminal Court (ICC) against accused war criminals often take great risks to do so. Yet, until now, their voices have been missing from discussions about how the ICC is fulfilling its responsibility to prepare and protect those who testify. The Human Rights Center at UC Berkeley School of Law has just released “Bearing Witness at the International Criminal Court,” the first empirical study to document the perspectives of ICC witnesses, many of whom survived heinous violations of human rights. The study surveys more than 100 witnesses from the first two ICC cases, those against Congolese warlords Thomas Lubanga Dyilo and Germain Katanga. From the ICC’s inception, the Court has set out to serve and protect witnesses who may be survivors of conflict-related sexual violence, genocide, war crimes, or crimes against humanity. Yet this past year has brought allegations of sexual assault committed by ICC staff in the Democratic Republic of Congo and reports of government intimidation of potential witnesses in the cases against sitting Kenyan President Uhuru Kenyatta and Deputy President William Ruto for crimes against humanity. Scholars and advocates have debated how best to prepare and protect witnesses who testify — basing strategies mostly on anecdotal evidence. Now we have data. These data show that despite the burden of traveling long distances, often from central Africa to The Hague, to testify, and waiting days or weeks without family or friends before confronting hostile lawyers and the accused, most witnesses reported positive experiences with the Court. Asked to describe their overall feelings about participating in the trials on a scale of 1 to 5 (least to most positive), women reported an average rating of 4.6, and men 4.4. Fully 96 percent of women and 93 percent of men said they were glad that they had agreed to testify, and most said that they would be willing to serve as a witness again. “I felt like I was letting go of something I’d been holding on to,” said one witness. Witnesses expressed a duty to testify to ensure an acknowledgement of the killing of loved ones, neighbors, and colleagues. Although most witnesses had no previous court experience at home or abroad, they reported that pretrial orientations and support services helped assuage their anxieties. Witnesses reported feeling safe during their preparation for trial as well as afterward, with women feeling slightly more secure than men. However, the findings also reveal ongoing concerns about being identified and targeted. Most women and men reported using some form of identity protection at trial. And many survey participants expressed fear about potential repercussions following trial. 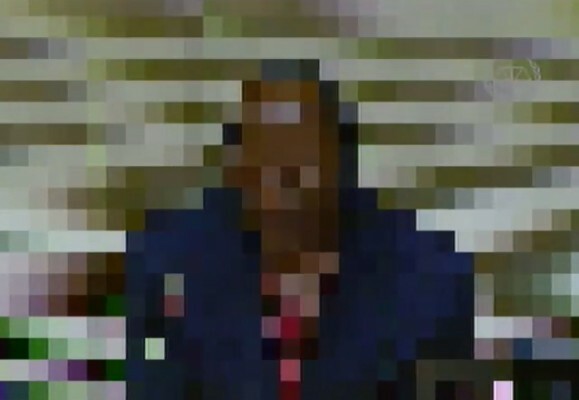 “Now, after my testimony, I will have a bigger need for protection,” said one witness. The study also shows some divides in the ways that men and women experience trials. Women, on average, viewed their interactions with the ICC more positively. Yet only 60 percent of women believed that their testimony helped establish the truth, as compared with more than 70 percent of men. Also, somewhat surprisingly, only a quarter of witnesses in the study were women, and they provided almost all the testimony on sexual violence. Understanding why women participate in trials at lower rates than men and whether they are being used disproportionately to testify about sexual violence are key issues for the court to address. Additionally, more data are needed to understand what happens to witnesses when they return home. The Court has developed a survey that is intended to be offered six months after a witness lands back in his or her home country; however, due to logistical, safety and financial constraints, fewer than half of eligible witnesses had been approached to take the survey. Therefore, we can say little at this point about the long-term impact of testifying in international criminal cases. Protecting witnesses can be challenging and expensive, especially in the long term, and the ICC’s commitment to witnesses after they have appeared at trial is critical. “Now that I have completed my testimony, I hope the ICC does not abandon us,” said one witness, articulating a looming issue for the ICC and all who care about international justice. In spite of the limitations of the survey and uncertainty of long-term witness protection, the Human Rights Center’s study suggests that when done right, testifying at international criminal trials can be a safe and even empowering experience. Chris Tenove is a Doctoral Candidate in Political Science at the University of British Columbia. You can find more of his writing at his personal site, from which the following is cross-posted, and follow him at @cjtenove. On May 22, U.S. Ambassador Samantha Power asked Qusai Zakariya of Syria to stand up in the gallery of the United Nations Security Council. 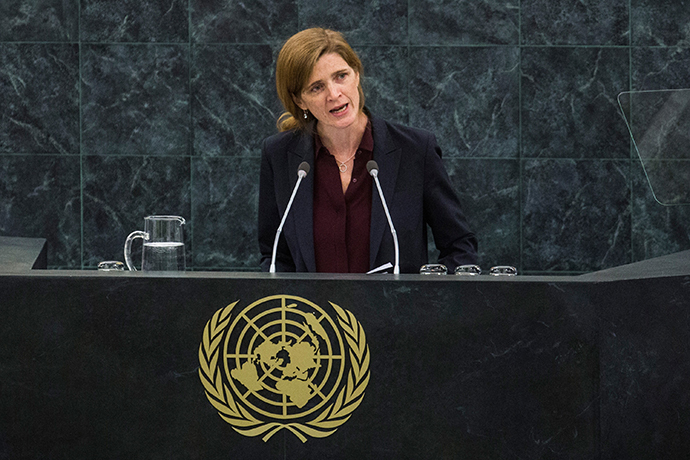 Ambassador Power was in the midst of arguing for a draft resolution to refer the Syrian conflict to the International Criminal Court. She had to justify a resolution that some – including Ambassador Power herself in the past – had suggested could undermine a peace deal, and that was doomed to be vetoed by China and Russia. (Others have commented on the speech and the U.S. strategy, here and here.) Mr. Zakariya, a victim of a chemical attack, would be part of that justification. Several scholars have written about how different actors make assertions about victims of international crimes in order to promote their aims or authority. Among others, Kendall and Nouwen argue that “the Victims” is an abstract category that justifies international criminal justice and displaces the voices of actual victims; Sagan has claimed that African war criminals and victims are discursive subjects integral to the project of cosmopolitan liberal justice; and Dixon and I argued that victims are central to claims about legal, expert and moral authority. So it is interesting to look closely at the rhetorical deployment of Mr. Zakariya. “Having undergone various rehabilitation programmes, I have realised my past mistakes like any other Ugandan who erred. I pray that the President gives me a second chance in life.” Kwoyelo, who is currently on a peacemaking and reconciliation programme, said he has benefited from the course and pledged to practice what he has learnt because it calls for reconciliation with God and the society he wronged. “I am willing to work with the Government at all cost. Once considered for clemency, I swear never to go back to rebel activities,” he said. This plea for clemency, and the timing of it, is intriguing for a number of reasons. But first, some background and context for those not familiar with the case of Thomas Kwoyelo.